Providing you the best range of Dual Speed Motors such as REMI Dual Speed Motors and Crompton Greaves Dual Speed Motors with effective & timely delivery. Power 0.18 to 15 K.w. The REMI Dual Speed Motors offered by us are extensively used for various industrial purposes. Dual sped motor available in single winding 2/4, 4/8, 4/6 and other pole in double winding. Dual speed Motor are supplied in a robust, rugged cast iron frame with integral feet. On Request we can supply motor in aluminum body up to 100 L frame. 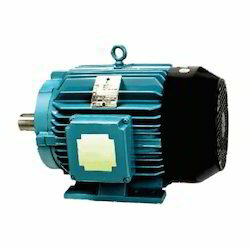 All dual speed motor is supplied with ‘F’ class insulation but temperature rise restricted to ‘B’ class. Dual speed Motor IP-44 Protection as defined in IS: 4691. Dual speed Motors are also can be supplied with IP-54 and IP-55 on request. Made from high carbon steel to provide exceptional Strength & rigidity to minimize deflection. Bearings are adequately lubricated with lithium based high temp up to 150 deg. All the Dual Speed motor are supplied with C3 ball bearing & fully charged with lithium base grease at the time of assembly. Motor provided with minimum two earthling terminals. One in the terminal box and other on foot. 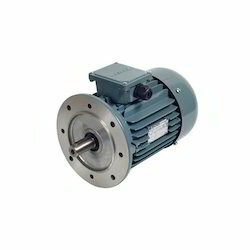 Dual speed motor are use in Many application which multiple speeds are required. Pharmaceuticals, Crane, hoist, lift, construction, Chemical industries, Food equipment, Ceramic industries Machine tools for different application. We can also provide dual speed gear motor, dual brake motor. Over the years, owing to our healthy relationships with the vendors likeCrompton Greaves, we have been able to offer a premium range of Crompton Greaves Dual Speed Motors to the customers. 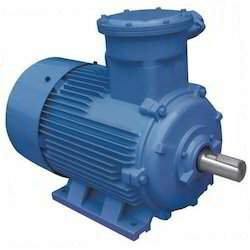 A large number of companies use these motors as these are able to serve them for a longer period of life. Special attention is given to the process of quality check and it is assured that only selected of these are dispatched to the client's premises. Some of the features of our products include trouble-free operation, less noise and easy installation. Looking for Dual Speed Motors ?